- Sweet and simple. Perfect for wearing alone, or as part of a pin ensemble. 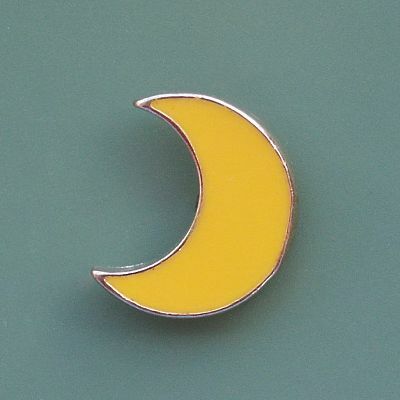 This small yellow moon pin goes with just about anything. 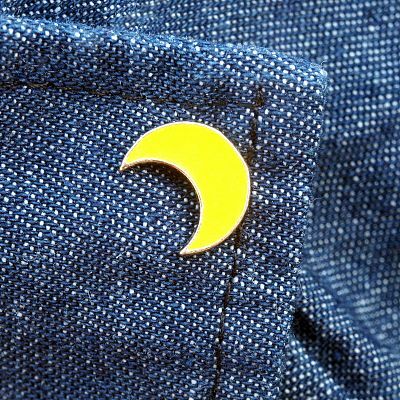 The crescent moon enamel pin measures only 1/2" tall, and has a gold-tone finish. 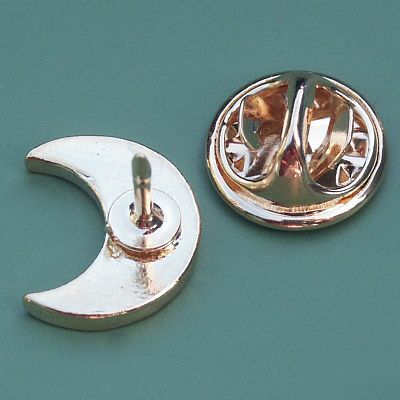 Comes with a butterfly clutch pin back to hold it securely in place. Do you have any other questions about our Yellow Moon Enamel Pin?